Beware-- Kava and Kratom is it Addictive? Pattie Freeman has been recognized as the BEST well known hypnotist to have rehabilitated heroin and cocaine addicts. She now shares the secrets and experiences by helping her clients with hypnotic and motivational techniques with support so they will experience the positive results referring to Substance Abuse, gambling and Alcohol addiction. Kava and Kratom has been the talk for 2o15 for unregulated teas that many are not realizing the dangerous effects of it becoming an Addiction easily. Since it is not a illegal substances it can be obtained and never thought it an become a new addiction. If you are wanting more facts please look at one of my webpages that carry the facts about this. Addictions are uncontrollable and can be deadly for those who do not seek help. Whether its a 12 step program or individual support through private rehab centers. The question is this what happens afterwards, after you are released and you find yourself on your own, thinking for yourself, Your mind takes over old patterns and routines. You find yourself repeating old thought patterns and you might to start to spin out of control and you don't know why. Pattie has been successful with the hypnotic process for addiction especially for those who had tried everything else and they have reached a dead end. They don/t know where to turn and find they need to change their life into a positive and they have no choice. Pattie's program has helped hundreds of her clients reach positive changes in their life for them lead a drug and alcohol free lifestyle. If you are uncertain how this works it's just easy. Did you know during rehab there is only 1 out of 12 addicts finish the process successfully. My program is better then Rehab. it helps not only the mind but the physical desires. Did you know during rehab there is only 1 out of 12 addicts finish the process successfully. My program is better then Rehab. it helps not only the mind but the physical desires. To overcome substance abuse, a person needs to have the full control of his/her conscious and subconscious mind. Unfortunately, drug addiction tends to alter the mind. If you're planning to use your will power to overcome an addiction to drugs, you know that will power may be severely compromised. This is why hypnosis works. Hypnosis relaxes the body and eases the mind into a pleasant, relaxed, altered state. Within this state, the mind is then able to take "suggestions." successfully. These suggestions can encourage and motivate you when your rational mind cannot encourage and motivate itself. Depending on the type and severity of your addiction, you may need to seek other help and may have already. Most of the clients that use Hypnosis for addiction it's their next step after rehab. If you are a smoker, for instance, you may well be able to listen to self-hypnosis MP3s and quit smoking without any other assistance. 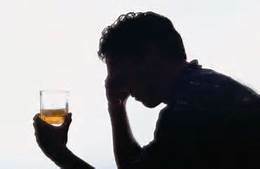 If you are addicted to alcohol or pain pills, you may have been or will need to enter treatment, visit a trained hypnotherapist in person, and join a 12 step program.